Update 2018: SBI has made some changes to their online portal, you can find updated information on how to generate provisional interest certificate for your MaxGain account here. For more details on the tax savings options on home loan read our article How to save income tax?. Generating Provisional Interest Certificate Online is very easy. Log on to your State Bank of India account using this link and go to Enquiries->Home Loan Int. Cert. Select your home loan account and download the Tax Certificate for your income tax filing needs. Update: SBI recently added an option to generate provisional certificate for MaxGain accounts too. 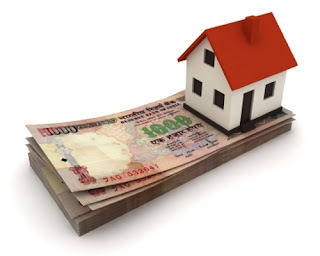 Read this story SBI MaxGain Home Loan - Generating Provisional Certificate for details. I also got same error. It is not giving the provisional certificate for current year. Vivek, do you have MaxGain enabled for Homeloan? I also tried to get a provisional Home loan certificate, but all efforts have gone in vain. I'm unable to download Home Loan Interest Certificate(Prov) from SBI net banking under Enquires tab. Contacted home loan branch but they have given written form with bank stamps. but that was got rejected during TDS approvals. Can you anyone help me how you have got the interest certification. much appreciated your valuable suggestion!! Unable to download the Home Loan Interest Certificate. I am able to download the PROVISIONAL HOME LOAN INTEREST CERTIFICATE, but shows wrong figures, it shows total expected repayment amount as per up to todays paid total emi amount. It should be EMI x 12. Same here... showing only the first month as already paid and rest is shown as expected.. Looks like some hardcoded values being displayed. Too bad. Can I deposit old 500 and 1000 currencies(demonetized by Modi) to my MaxGain account? If yes, what is the limit? I am trying from online, it's not generated for me for this year. How to get? Is there any email id where we can communicate and get it done? Each SBI branch has its own email address, try reaching out to your home branch. Just log on to Personal Banking section of the Internet Banking site with your credentials and select the "Home Loan Int.Cert (Prov)" link under "Enquiries" tab. Then select the account for which you require a Home Loan Interest Certificate. The certificate can be viewed online, printed or downloaded in pdf. I did the same last year. But now "Home Loan Int.Cert (Prov)"option is not visible under enquiries. Today is last day to submit it at my office :( could anyone help me to get online "Home Loan Int.Cert (Prov)"
Guys be cautious you will not be able to see all loan accounts in online if you have multiple SBI savings account...... not sure but It picks the oldest account or any loan account availed.... I too could see... when I logged into old accounts I was able to see the loan account online..